Salmon Caught with Roast Beef Bait at Fort Peck! 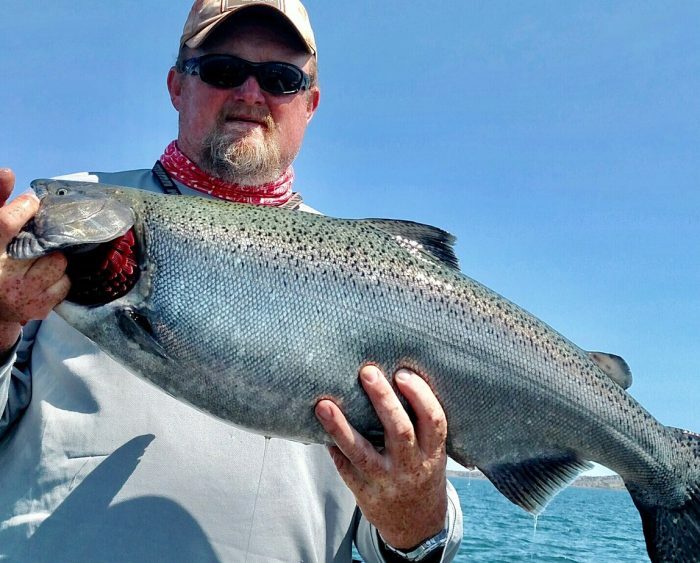 Jason Mundel of Coram caught a salmon Wednesday on Fort Peck, now that is not that unusual for this time of the year. What is unusual is the bait that he used for catching it. Roast beef stuffed into a green Brads Cut Bait instead of what most anglers use WHICH would be TUNA! Mundel was trolling the cut bait filled with roast beef behind a flasher at 75 feet one mile west of Haxby point when he hooked the 19-pound chinook. Mundel neglected to say whether the roast beef was well done or medium rare or if the steer was grass or corn fed. Maybe that is why Jason isn’t smiling…the salmon ate the roast beef he was going to have for lunch!